Today’s travellers are SMS-savvy, using their phones for nearly every part of the booking journey. In fact, over 76% of travellers consider their phones their most important travel companions, and 65% of travellers are more likely to book with businesses that provide a mobile-friendly website. 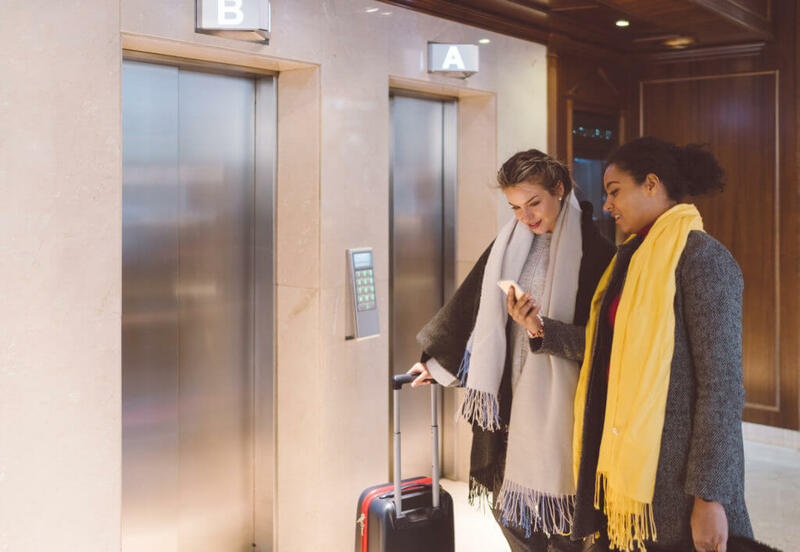 Because travellers are already on their phones, SMS marketing for hotels is an easy way for hospitality businesses to connect with them. Using business text messaging, hotels can provide guests and prospective guests with fast and personalized service. These top-notch SMS hospitality services are very popular among travellers: over 90% of U.S. and U.K. consumers consider hotel communications via text “very” or “somewhat” useful. But because SMS marketing for hotels is such a new field, receptionists and other team members can be confused about the differences between casual texting and business texting—which is why we rounded up these 6 tips for hospitality-specific text etiquette. Hospitality is all about convenience and good service. That’s why you’ll want to think carefully about the situations that call for SMS, and those that would be better handled through other channels. While there are clearly many uses for hotel text messaging, there are certain situations in which you should avoid using SMS. For example, if your guest has a complaint, discuss those problems in person or over the phone so your guest cannot misinterpret your earnest apologies. Don’t forget that texts can be forwarded and recorded. Because of this, you’ll need to have an in-person meeting or call to relay any confidential or proprietary information to your guests. While there are many obvious situations in which SMS hospitality services work well, think outside of the box to really maximize your business texting channel. For example, on holidays, text hotel guests a celebratory greeting and inform them that a free drink is available at the bar for people on your business’s texting list. A similar text could be sent during a big basketball or football game, or other nationwide event. SMS is also a great channel for requesting feedback after a guest’s stay. A quick text is far more likely to receive a response than a long email. Plus, travellers can complete surveys via their phones on the bus, train, or whatever mode of transportation they choose. There are endless ways to craft creative texting campaigns, but ensure yours is unique to your hotel for the best engagement from guests. While there are many ways you can use SMS marketing for hotels, don’t send too many texts. The ticket to establishing a large and loyal audience for your SMS hospitality services is by establishing trust with your list members. If they don’t trust that your messages provide value, they might start ignoring your texts, deleting them, or even opt out of your services entirely. To ensure your list continues growing, only send your guests information related to upcoming or current stays, truly valuable offers that are exclusive to those on your texting list, or the occasional feedback request. The guests who use your SMS hospitality services should have already agreed to receive your hotel’s SMS messages as per TCPA regulations. Don’t forget to offer them an opportunity to opt out of your service as well. Besides this, there are a few other must-do things that will ensure you appear professional. Introduce yourself. Include both your name and your hotel’s name in the initial text of every conversation, letting your guests know with whom they are communicating. Text during business hours. Be mindful that your guest may be vacationing or on a business trip. Communicate via text only during the business hours of the country you’re in, unless you receive an off-hours request from your guest. Respond quickly. 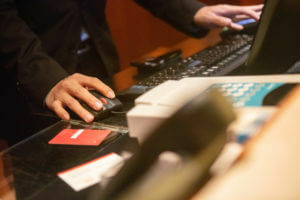 If your text responses are slow, guests might feel as though they might as well have called or visited the front desk. Provide speedy replies by using a business text messaging platform that supports templates for fast responses. Keyword-based auto replies, also a feature of some texting tools, will enable you to let recipients know when they’ll receive a response. Write clearly. To make your messages as clear as possible, use proper grammar, syntax, and capitalization. Avoid abbreviations when possible, because not everyone understands them. In general, use the same standards for business texts as you use for business emails—though your texts should be much shorter. Texts are, in essence, etched in stone. Once you send one, there’s no way to take it back. your subject matter is text-appropriate. dates, times, and other information is accurate. words are spelled correctly and sentences are grammatically sound. For hospitality professionals who use hotel text messaging each and every day, it may be useful to create templates, which are available in some business text messaging platforms. These tools expedite the texting process and ensure you are sending error-free messages. Have any questions about the etiquette of business texting for hospitality? Let us know.